On March 22, 2016, Millcreek Township (Erie County) adopted amendments to their zoning regulations that will now require a minimum of 7 percent of new or reconstructed parking lots be vegetated, even on lots smaller than an acre. The zoning ordinance amendment can be viewed here. 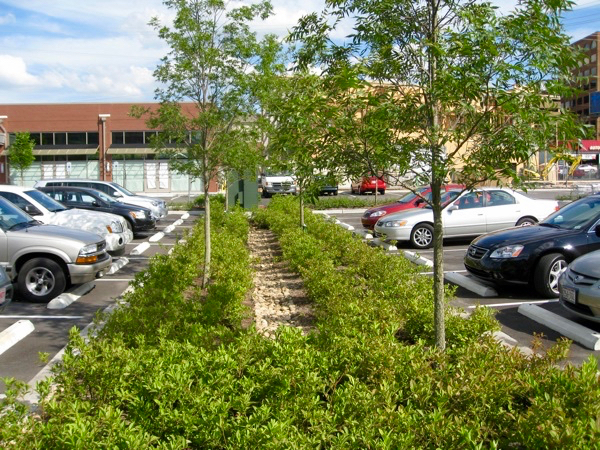 These standards, which passed unanimously by township supervisors, apply to parking lots that accommodate 15 or more parking spaces and are intended to increase pervious surfaces to increase groundwater recharge and mitigate runoff and encourage the planting of appropriate vegetation to enhance the built environment. For those wishing to learn more about these parking lot landscaping standards, please visit www.millcreektownship.com and click on Code of Ordinances. Scroll to Chapter 145 – Zoning to open the ordinance, then visit Section 145-21E for Parking Lot Landscaping Standards. 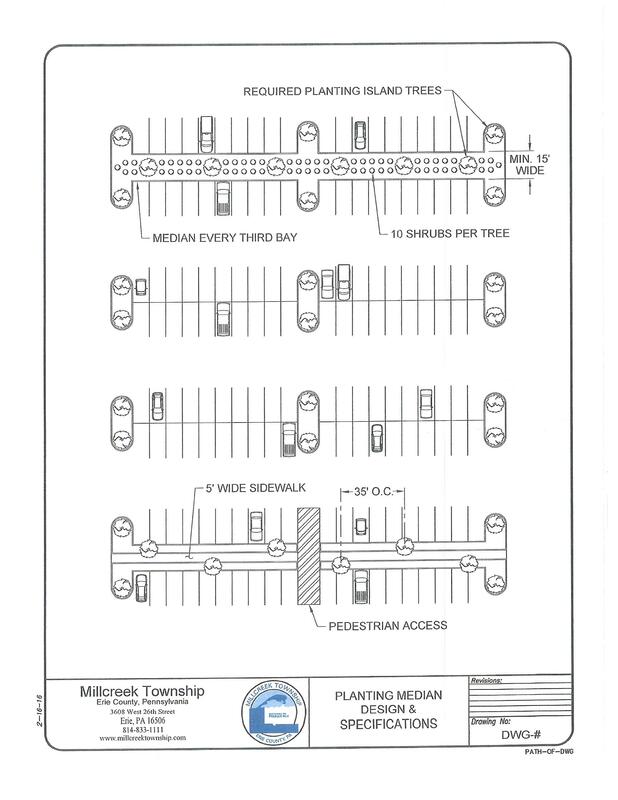 The following is a schematic that illustrates Millcreek Township’s landscaping standards for plantings in parking lot medians, planted islands and end caps.